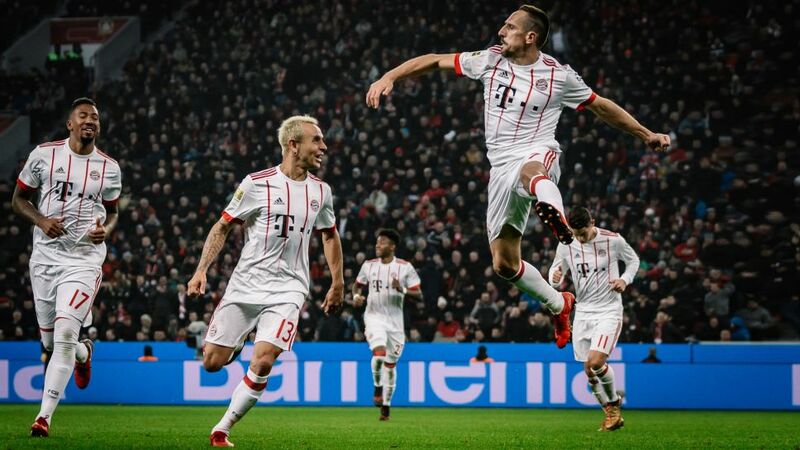 League leaders Bayern Munich secured a rare double over Bayer Leverkusen, a host of familiar faces returned to former haunts and the 6,000th player to feature in the Bundesliga made an outing: we round up the standout numbers from the first round of fixtures of 2018. Freiburg have never lost the first game of a Bundesliga Rückrunde under Christian Streich. Borussia Dortmund’s Jadon Sancho became the first Englishman to start a league game for BVB. Raffael became the first Gladbach player to score after coming off the bench this season. Naby Keita has scored all three of his Bundesliga goals from distance. Freiburg are now six matches unbeaten (three wins, three draws), their best run in the top flight for approaching six years. Stuttgart have taken the lead seven times this season, winning six and drawing three. Sebastien Haller scored his seventh goal of the season against Freiburg. He now has as many goals already as the Eagles’ top scorer from last term, Marco Fabian. Ja-Cheol Koo notched Augsburg’s eighth headed goal against Hamburg on Saturday. No club has scored as many headers this season. Niclas Füllkrug had nine shots on goal against Mainz – a personal record in the league – and scored his first top-flight hat-trick, one with his right, one with his left and one with his head. Wolfsburg have drawn 10 of their 14 league matches under Martin Schmidt. Hoffenheim were rescued by the woodwork for the 14th time against Bremen on Saturday. No other club have had such good fortune. Hoffenheim’s Oliver Baumann made his 250th Bundesliga appearance against Werder. Hannover celebrated their 300th Bundesliga win, in their 966th game. After a club-record 503 minutes without a top-flight goal, Stuttgart broke their duck when Hertha’s Niklas Stark scored an own goal. Bayern Munich completed a league double over Bayer Leverkusen for the first time in almost a decade. Hannover won a match after falling two goals behind for the first time since a victory at Stuttgart in November 2012. After 3,157 days since leaving the club for Bayern, Mario Gomez made his first appearance for Stuttgart. Sandro Wagner appeared for Bayern Munich on Friday, a club-record 3,785 days after he last played for the Bavarians. Renato Steffen made his Wolfsburg debut at Dortmund on Sunday, in the process becoming the 6,000th different player to feature in Germany’s top flight.